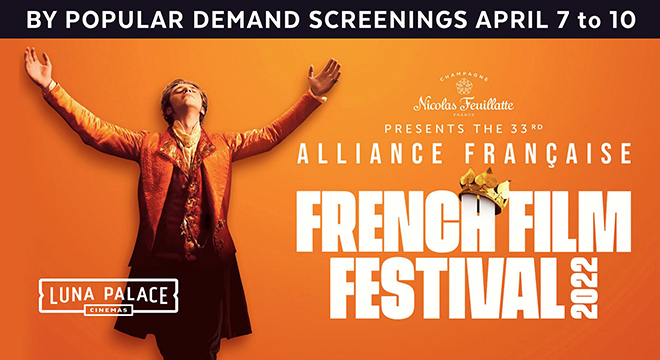 The Alliance Francaise French Film Festival is one of the biggest and most impotant film festivals in Australia’s busy film calendar, and this year it celebrates its 30th anniversary. The programming team has assembled a stellar line-up of 54 films that cover a wide range of genres. There are also new film from respected directors like Jacques Audiard, Claire Denis, Olivier Assayas, Francois Ozon, Agnes Jaoui and 87-year old Jean-Luc Godard. There is also a special screening of a maginificent restored print of Alain Resnais 1959 film Last Year At Marienbad. The opening night film is the comedy The Trouble With You. The festival screens at Palace cinemas from March 6 until April 10. Greg chatted to the festival’s artistic director Philippe Platel about the program.